Known as "Mardi Gras" in others. 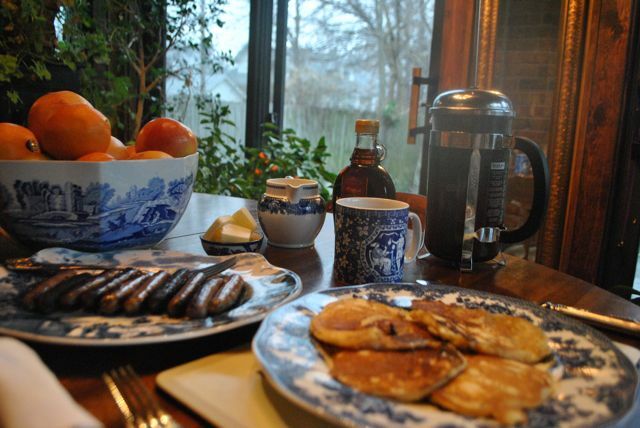 We like the Shrove Tuesday tradition of panckes. And coffee . . . coffee is so much better with pancakes. 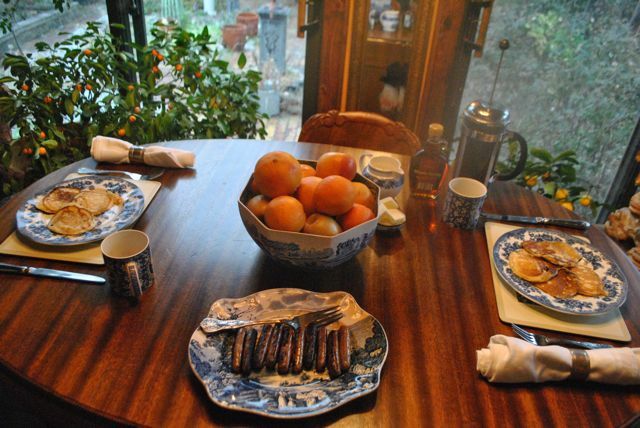 And in winter, a bowl of Clementines is often on the breakfast room table. It's their Shrove Tuesday tradition! 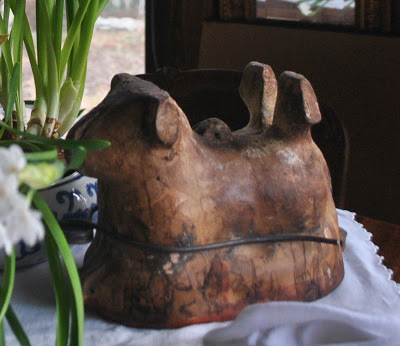 And the antique French lamb molds on the breakfast room table. We've always had the pancakes for dinner on Shrove Tuesday but do add sausages or bacon too, yummy! I have an aluminum lamb mould that I only ever used once but should pull it again for this year. I had forgotten! Thanks for the reminder. I love pancakes...but my honey doesn't. Ah well. Love your table and especially the lamb mold! So cute! I made your pancakes last year and they were wonderful. 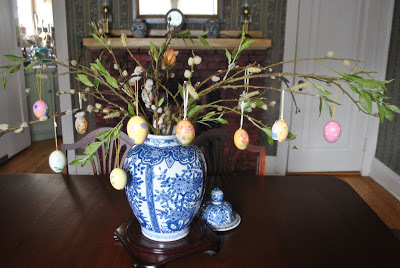 It's so nice to see some Spring things showing up on blogs. My favorite time of year is Easter and I cannot wait. Your table looks gorgeous and yummy. The calendar seems to be turning pages over quite quickly this year! Our Youth at our Church provide a Pancake Feed to earn money for their Summer Camp!!! Always good food and for a good cause!!! 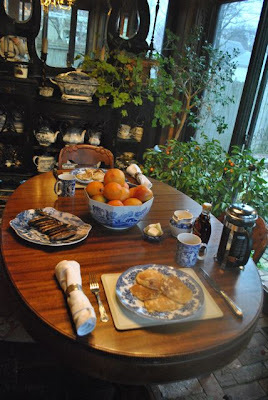 You breakfast room is lovely all dressed in your blue & white dinnerware! I put the Lent tree out in Studio One last week while I was working on streamling my shelves. 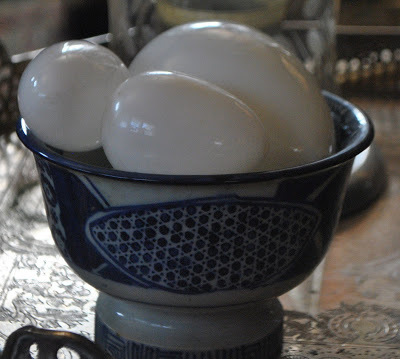 My eggs are German handpainted, also!!! Be blessed during Lent and all year through, dear friend!! !